One minute you're taking a relaxing shower, and the next minute you're standing in your own dirty water that doesn't want to drain. The standing water makes clearing the clog more challenging, but you can often correct the clog yourself with some tools you may already have on hand. You take showers to get yourself clean, but in the process, you can make your drains quite dirty. Hair is often the culprit when it comes to drain clogs. Soap scum and dirt can build up inside the drain, which can make hair cling to the walls and build up into a massive clog. If you have a family member with long hair, the chances of a clog are even greater. As the hair and gunk build up, they can block the pipe, causing slow draining and eventually standing water in your tub. 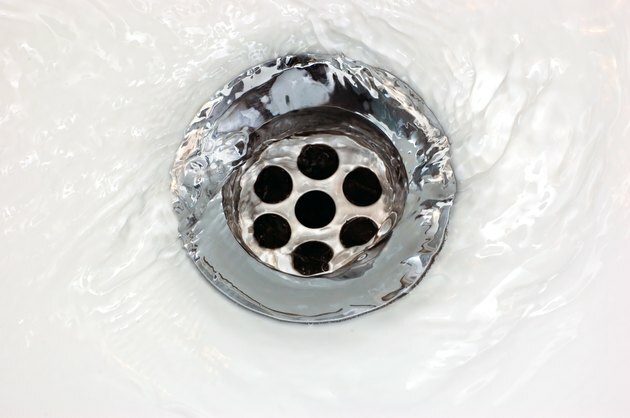 To get the water flowing again, you need to remove the gunk to open the drain. The clump of hair and other gunk is often close to the drain, so you can sometimes see it, which makes it a little easier to remove. Your job of unclogging your tub is much easier and less messy without the standing water. You don't want the water splashing around, especially because it probably isn't the cleanest water in the world, and you can see down the drain better without it. Sometimes, the water will slowly drain out of the tub if you let it stand long enough. If it won't, you can scoop out some of the water with a bucket and dump it down a sink drain. Head to your closet to grab a wire hanger for a makeshift tool that can help you dig out a clog. You can straighten the hanger and fashion a small hook at the end to grab the clog and pull it out through the drain. You may need to dig around and continue pulling out chunks of the clog to fully open the drain. You probably think of your plunger as a tool to get your toilet flowing again, but it can also help unclog the drain in your tub. It can be difficult to get a good seal. One way to help is to coat the bathtub plunger edge with petroleum jelly. Place the plunger over the drain opening in the shower and plunge up and down to create suction to move the clog. Plunging isn't always a quick solution, so don't give up if it doesn't work immediately. Keep plunging to loosen the clog in the pipe. If you own a plumbing snake, it may be enough to clear the clog. This specialty tool has a spike on the end of a metal wire, which busts through the clog. The handle on the tool lets you move the snake around inside the pipe to help scrape away the blockage. To use the snake, remove the cover from the overflow, which is above the drain. Feed the end of the snake into the overflow opening, feeling for resistance to know when you reach the clog. Pushing and pulling the snake once you reach the clog can help break it up, as can turning the handle to make the snake wiggle around in the pipe. Simple products you have around the home can help break up the clog. 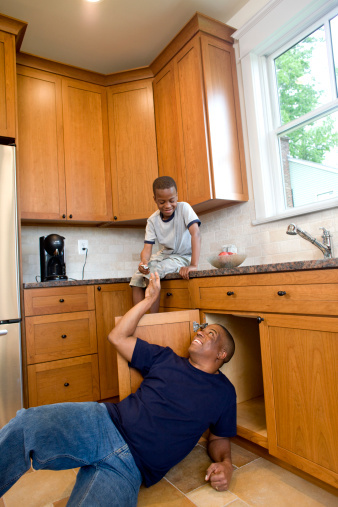 Pour boiling water down the drain to help loosen any soap scum that's holding the clog in place. Another trick is to pour a cup of baking soda down the drain followed by a cup of vinegar. The chemical reaction can dissolve the clog. Let it go to work for 10 to 20 minutes before pouring boiling water down the drain to help clear the clog. You may be tempted to reach for chemical bathtub drain cleaner products to get the tub draining again, but those products usually aren't a good idea. The caustic nature of drain cleaners makes them dangerous, and they can actually cause damage to your plumbing system. They can even have negative environmental effects. 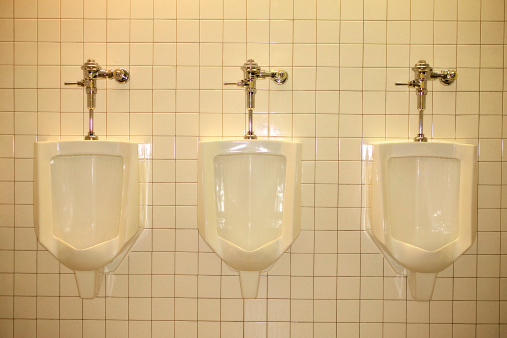 A safer option is to try physically removing the clog by other means and calling a plumber if necessary.